When: 8:00 AM on the 1st Sunday of every month. Arrive earlier to sign in and set up. The National Match Course (NMC) is a multi-stage, multi-position high-power rifle match that evolved from the U.S. military’s course of fire. It could be described as a traditional, military-style marksmanship competition. 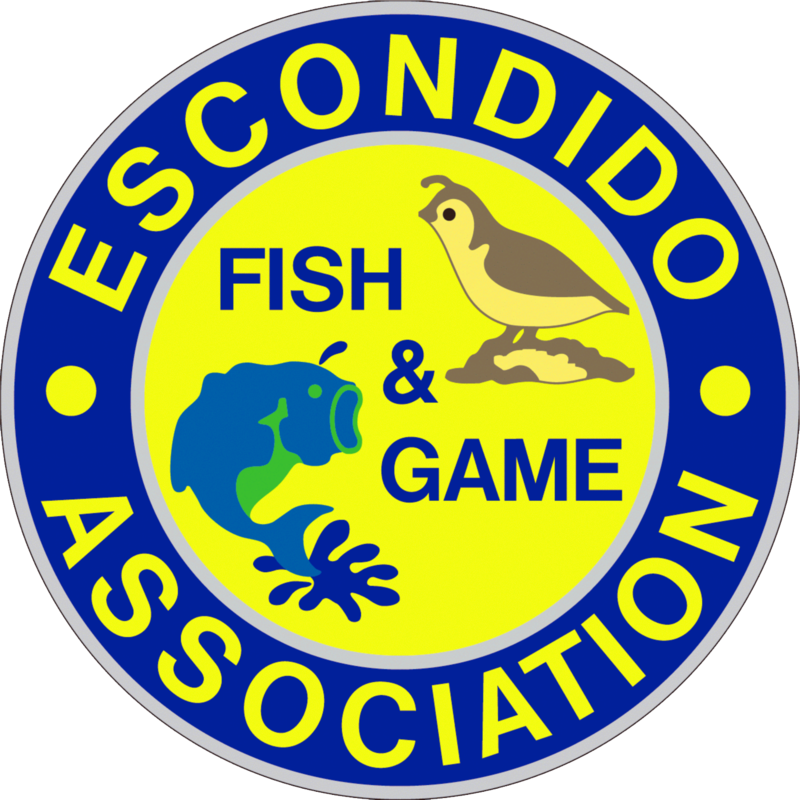 The Escondido Fish & Game Association’s NMC match is a “reduced distance” version of the full across-the-course match, with all stages shot at 100 yards rather than 200-600 yards with targets reduced in size accordingly. Matches at EF&GA are NRA Approved tournaments; for an additional fee your score will be submitted to the NRA for classification. Any centerfire repeating rifle of .35 caliber or less may be used but it should hold at least 5 rounds and be capable of being reloaded quickly to compete in the rapid fire stages. There are three categories for rifles: Service Rifle, Any Rifle, and NRA Match Rifle. Service rifles are those of the type issued by the U.S. Armed Forces and include U.S. Rifle, Caliber .30 M1 (“M1 Garand”), U.S. Rifle, Caliber 7.62 mm M-14, U.S. Service Rifle 5.56 mm M-16 series, and U.S. Rifle, Caliber 7.62 mm M-110 series. Service and NRA Match rifles must conform to strict criteria for sights and dimensions as listed in the NRA High Power Rifle rulebook. There are no restrictions on “Any” rifles except that they must be safe. EF&GA owns a number of M1 Garands that may be used by shooters who do not have a rifle. There is no fee to use a club gun, but club-issued ammo must be used with it, for which there is a charge of $25 for 60 rounds. Shooters unfamiliar with the M1 Garand, which is unique in its loading, should arrange for a training session with the rifle prior to a match, as there is not time during the match to do so. There are five firing stages in the match, one for sight-in and four for score. For each stage there is a three-minute preparation period during which shooters can adjust their equipment, get into shooting position and dry fire. All stages are started with the rifle unloaded before the command to fire is given. Target changes are made between each stage during which shooters may collect their fired brass and prepare magazines for the next stage. Off-hand stage: 10 rounds in 10 minutes ,single load, from the standing position with no sling. Service rifles must have the sling in parade configuration. Target is NRA SR-1. Rapid sitting or kneeling stage: 10 rounds in 60 seconds from an approved sitting or kneeling position with at least one reload or magazine exchange. Shooters using the M1 Garand must shoot 2 rounds followed by loading and shooting a full 8 round en bloc clip (“2 & 8”); others shoot 5 rounds followed by a reload or magazine exchange of another 5 rounds (“5 & 5”). Target is NRA SR-1. Rapid prone stage: 10 rounds in 70 seconds from the prone position with the same reloading requirement as in the rapid sitting stage. Target is NRA SR-21. Prone stage: 20 rounds in 20 minutes, single load, from the prone position. Target is NRA MR-31. All the targets have 5-10 plus X scoring rings. Holes touching a higher ring are given the higher score. Hits outside the scoring rings, not fired, or on the wrong target are counted as misses. Scores are recorded for each stage and totalled for a final match score, with tie decisions determined by the highest number of X’s. A perfect score is 500-50X.